PICS. will be posted later. This mountain is located in Numedal. Drive Hwy. 40 north from Kongsberg or south from Geilo. 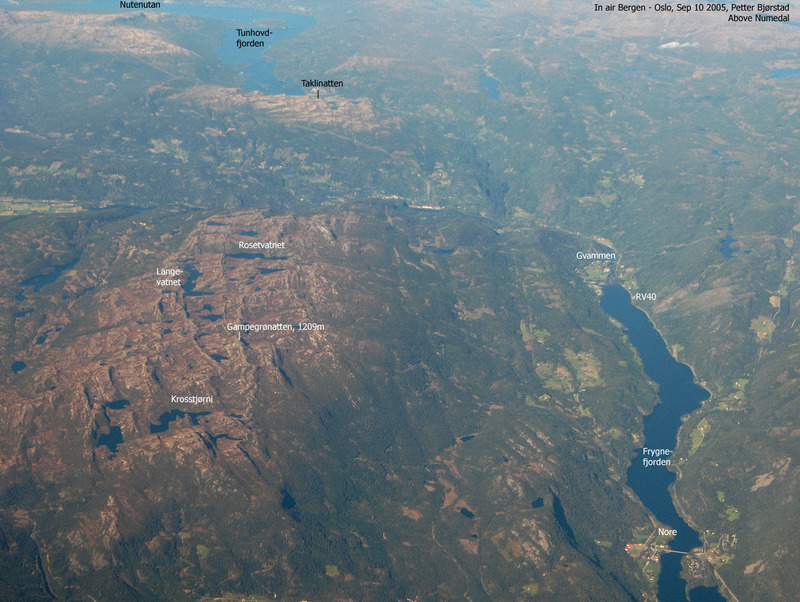 Locate the small village Rødberg. Drive east from the road fork just north of the river in Rødberg, the sign may say Nesbyen. Follow this road as it soon starts climbing steeply with many switch-back turns. Just after these switch-back turns, locate a small side road that forks sharply left at location N60.27671, E008.95924, elevation about 690 meter. Drive this road a short uphill section until you see a tunnel door (power plant) on your right. Park here without blocking any road/access. This is the trailhead, location N60.27497, E008.95686, elevation about 700 meter. From the trailhead, walk a little back down the road you just came. The first trail/forest road that goes left immediately is wrong. The next one is correct. This is a forest road. You pass a gate, then the road heads uphill and arrives at a fork at location N60.27896, E008.95557. Do not go left, but rather continue straight along this road. From the top (end) of this road, continue north, then more west and gain the saddle just north of point 1048. From here, continue north-west along the obvious route to the summit. After sleeping last night in "Lampeland", I drove up to Rødberg and located the trailhead without much difficulty. I left my car at 1030 and skied up the forest road to its first fork. Having consulted the online map the previous evening, the route went up to a small house called Rotarbu, then further up to the treeline. Thus, I went left and continued to the powerline where I turned right. After a bit more skiing, I arrived at Rotarbu according to plan. However, here all signs of a continued trail ended. I continued uphill in very bad terrain, a steep hillside with lots of buried birch trees as well as bigger trees. Extremely cumbersome as I made slow progress sometimes following the tracks of a moose. The moose had longer stride and obviously had moved faster than I could do. 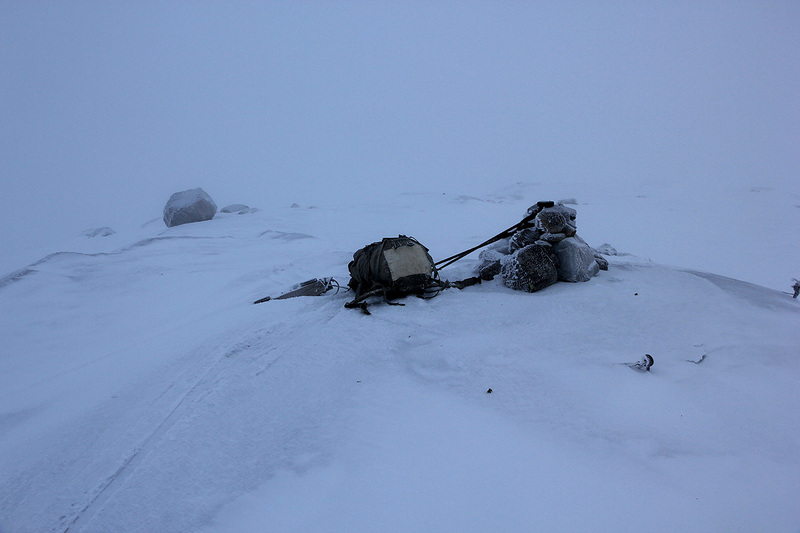 I reached the treeline at 1240, the 550 meter (with a vertical of 170 meter) had taken me 1 hour and 20 minutes! Finally above the trees, things got a lot better despite dense fog. I had a waypoint at 1100 meter, then one at the summit. No big problems as I arrived at the summit by 1330. 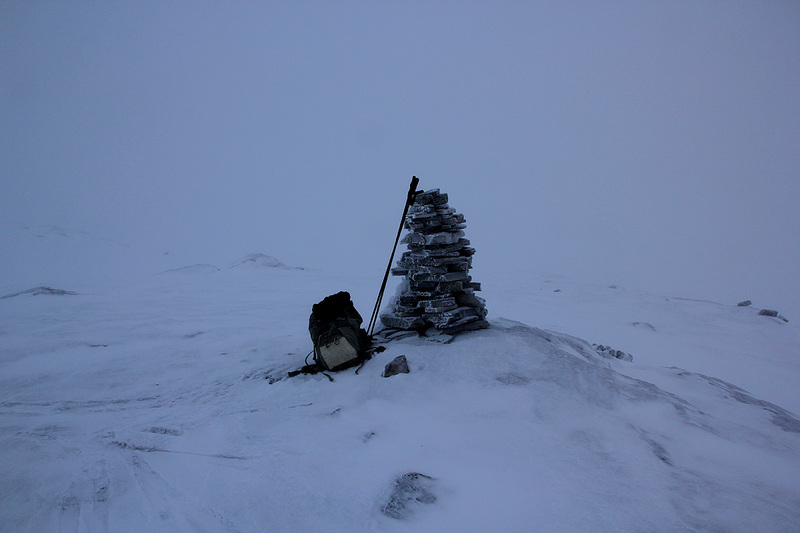 The summit had a very small cairn and traces of the trigonometric marker that had collapsed some time ago. 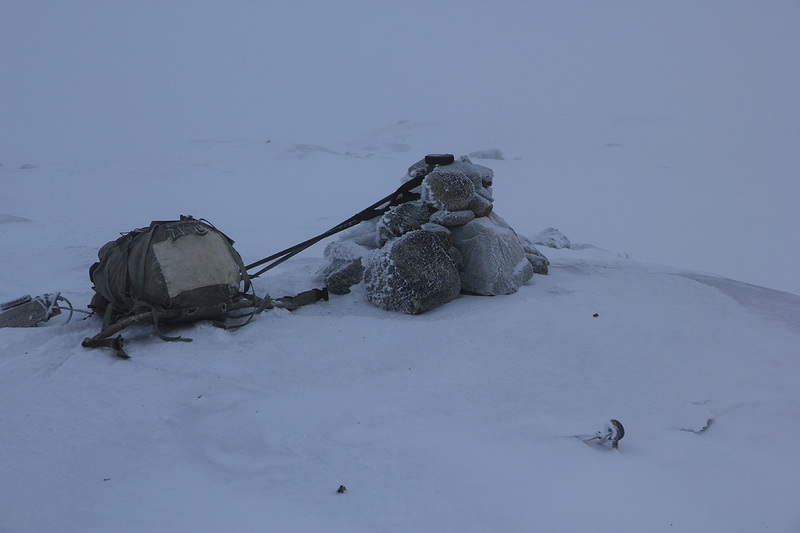 Another local hump nearby, but obviously lower had a bigger cairn. Thus, I skied over to this one as well before returning the same way as my ascent. At the tree line, I first followed a snow scooter track to the right, however this track ended and I had to climb back up to the local saddle. Following this track on the east slope returned me to the forest road fork where I had turned left on ascent. I was back at my car by 1500. The trip time of 4.5 hours, reflects a pretty bad route. I now continued to Geilo where I would spend a week attending the annual winter school in computational science. Taklinatten, from airplane, September 10., 2005.